Consignor Wins — We welcome your high quality secondhand kids wear for consignment. Once the item is sold, consignor can get a maximum 30% of the selling price as rebate. Customer Wins — Parents can buy high quality secondhand kids wear with reasonable price to promote the recycling of resources. 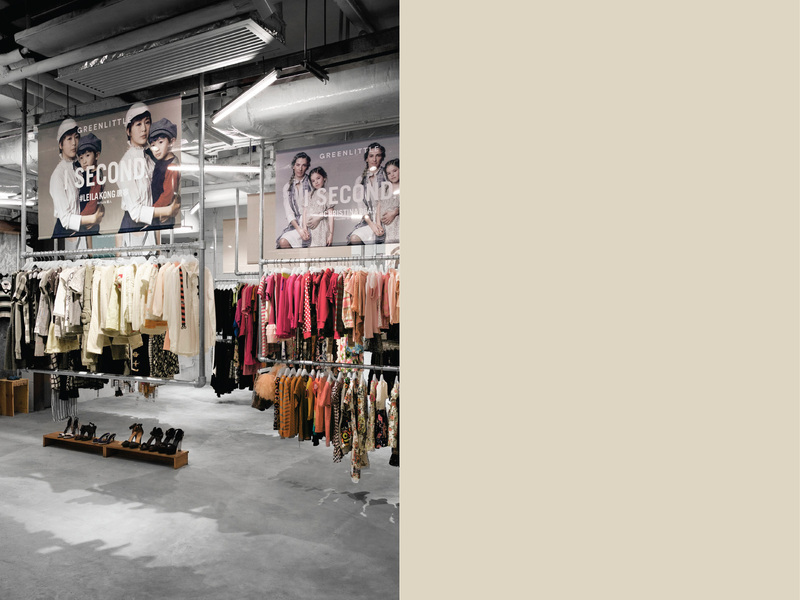 We are devoted to promoting the restyling of secondhand fashion in order to change the public’s consumption habit to act green. 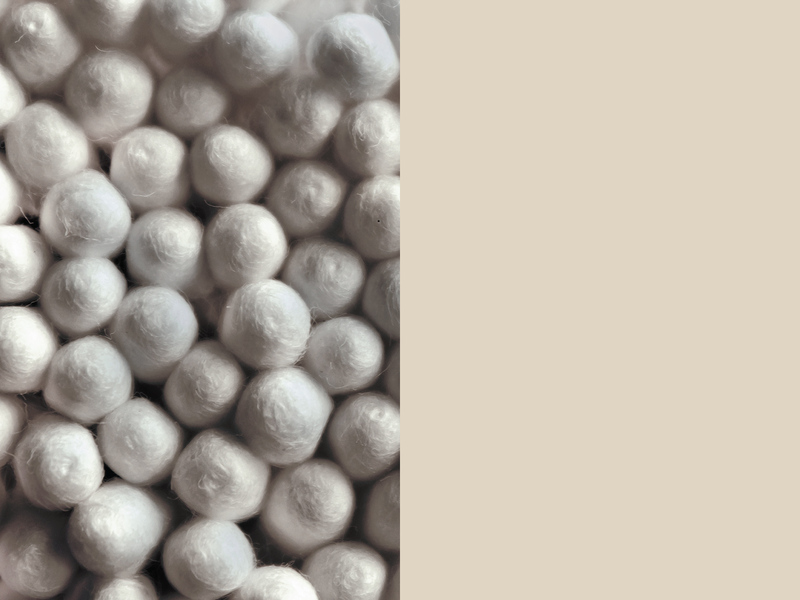 By promoting the concept of “cherish and reuse” to our next generation, Green Little aims to achieve environmental and social change through fashion reuse and for capability enhancement. 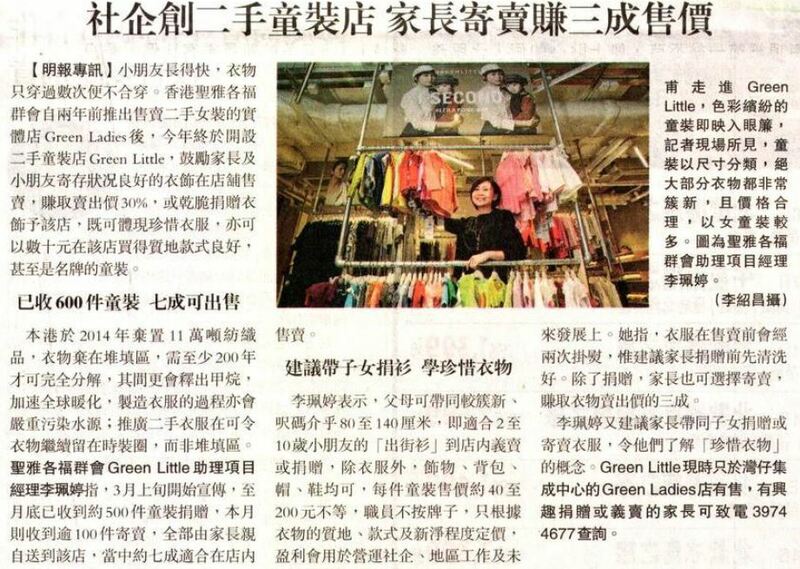 St. James’ Settlement Green Ladies has actively promoted and encouraged secondhand fashion reuse in Hong Kong. 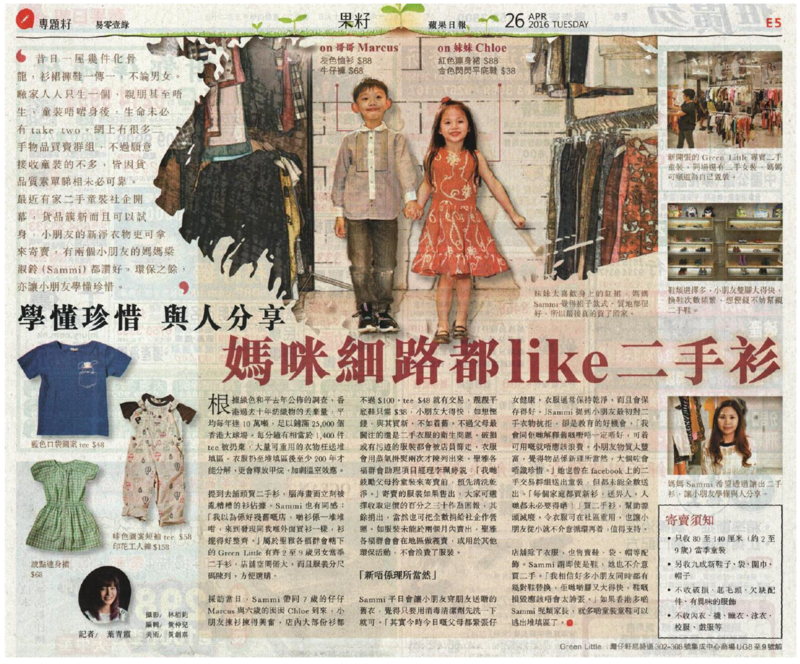 Secondhand business is expanded to kids wear and established Green Little in 2016, in order to provide an eco-shopping platform for parents and kids. Through collection of high quality kids wear, we promote secondhand clothing for sustainable use of resources. We encourage parents and kids becomes our consignors and take this chance to educate children about treasure what they have, giving their unworn clothing a second life by consignment and donation. 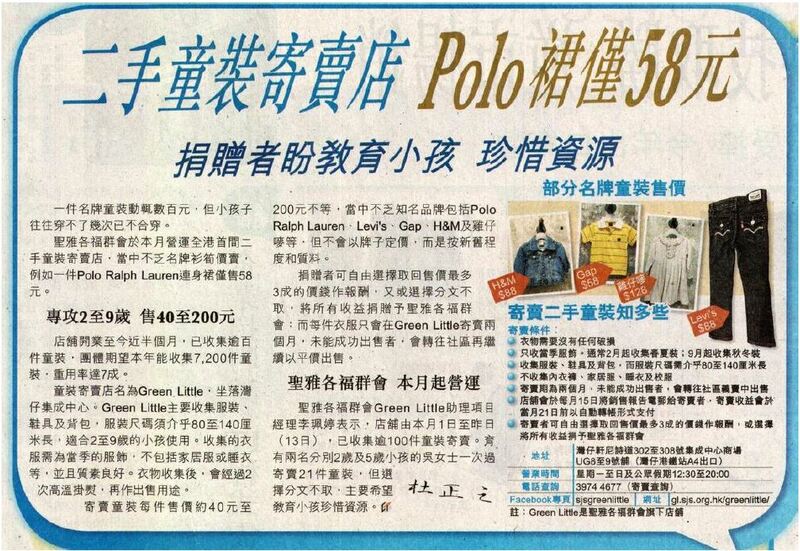 We will donate kids wear with good condition after consignment period. Through the network of charity sales and donation to soothe the financial burden of the families in need. Sales report will be issued on or before the 15th of the following month; details will be listed on the sales report for reference. The income will be transferred to the registered account by auto-pay on or before the 21st of the following month. 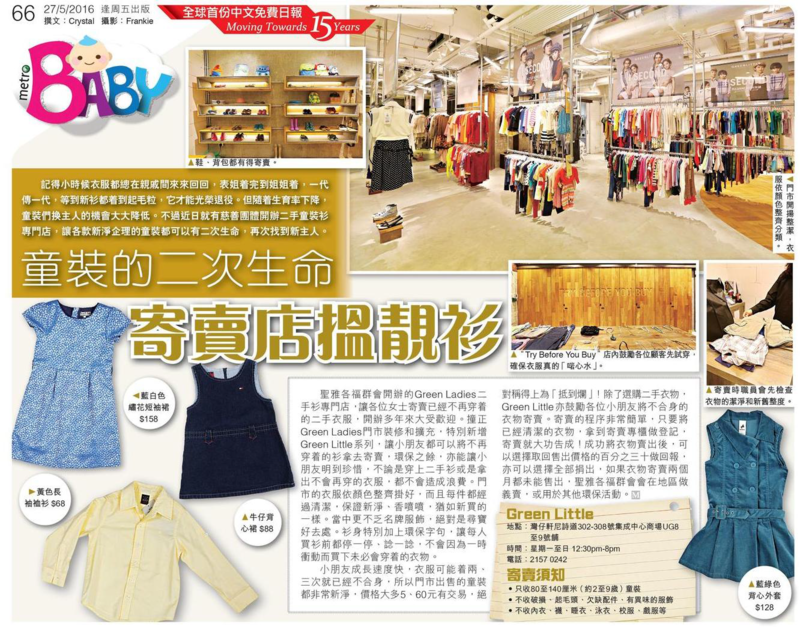 We collect resalable high quality kids fashion and accessories, criteria please refer to TIPS FOR FASHION COLLECTION. 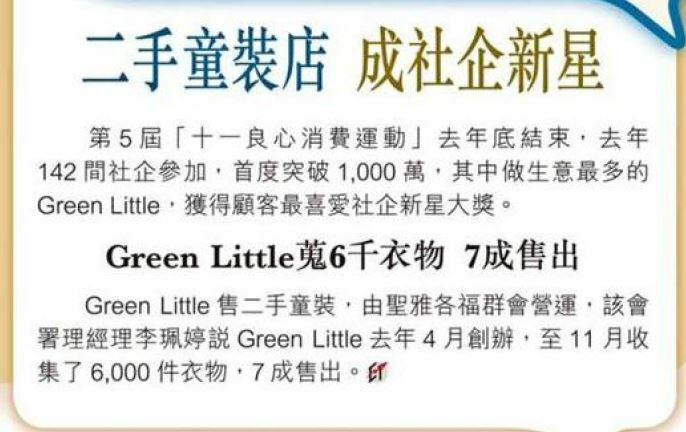 Green Little has the right to set selling price based on the purchasing power of customers, the style, quality and condition, completeness and past sales experience. Consignor cannot object to the selling price set. Due to the limited space of the shops, products will be displayed randomly within the 2-month consignment period. 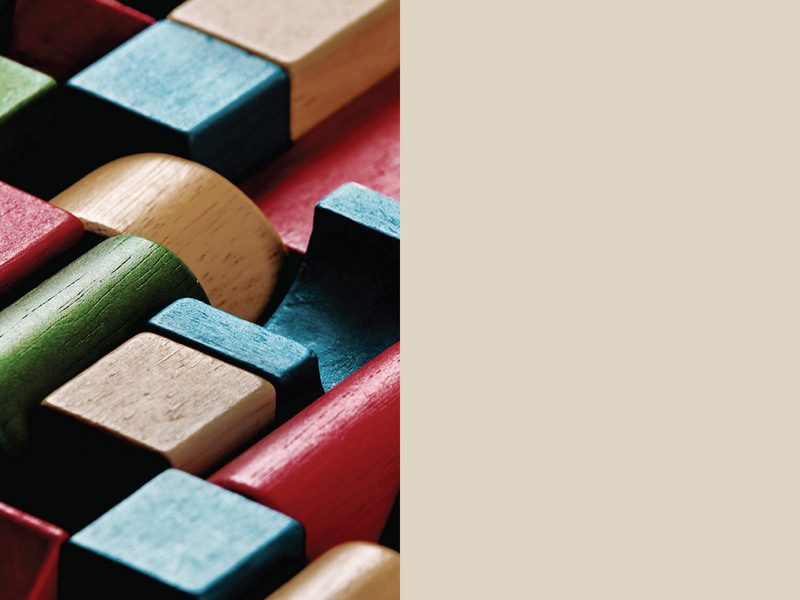 If the consigned item cannot be sold within 2 months, the ownership of the product will automatically be passed to Green Little, and Consignors cannot get back that particular item. 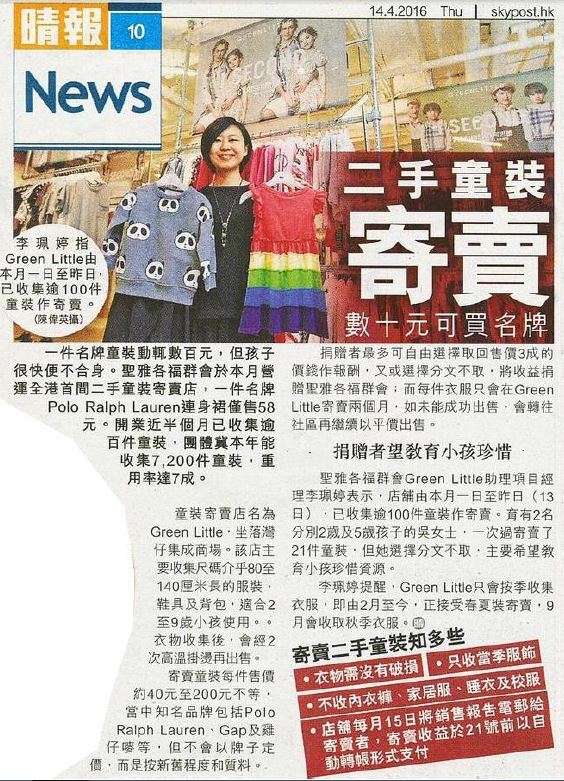 Green Little has the right to discount relative items, donate them to other projects for charity purpose or sell to community recyclers after 2 months. Under the above listed circumstances, no rebate will be available to Consignors. 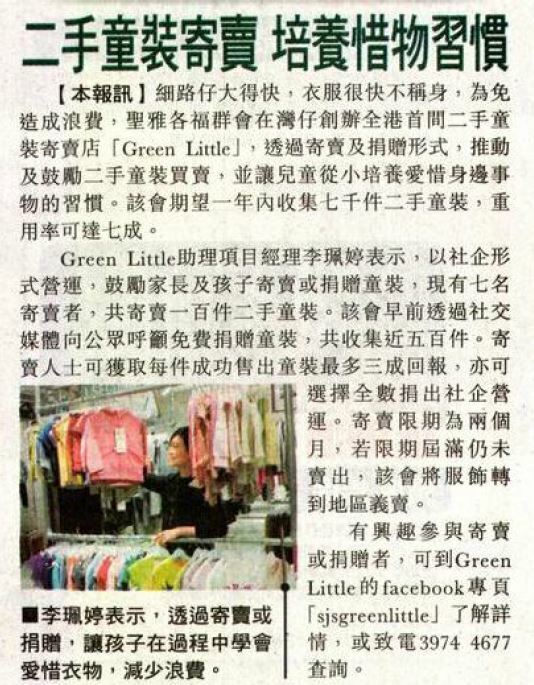 Green Little has the right to select and decide whether the fashion can be consigned with reference to market demand and storage. 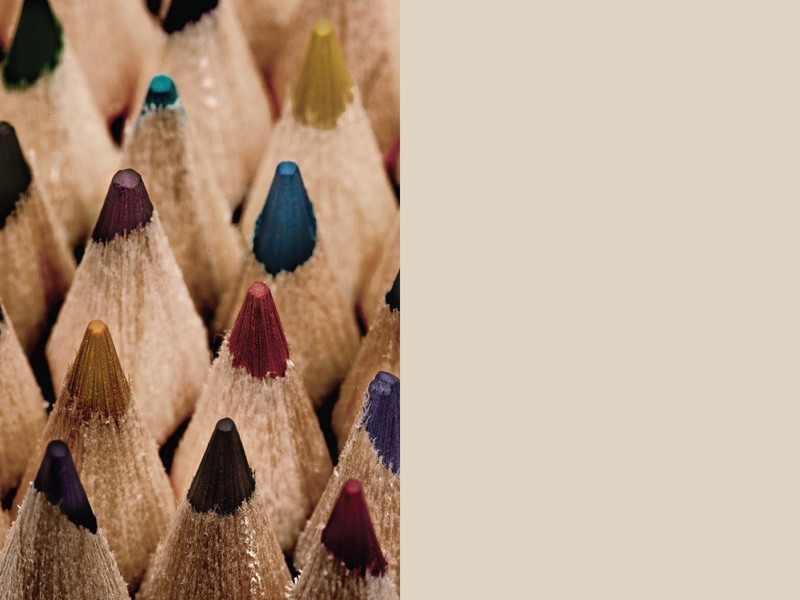 Staff have the right to deny receiving items that deemed unfit. 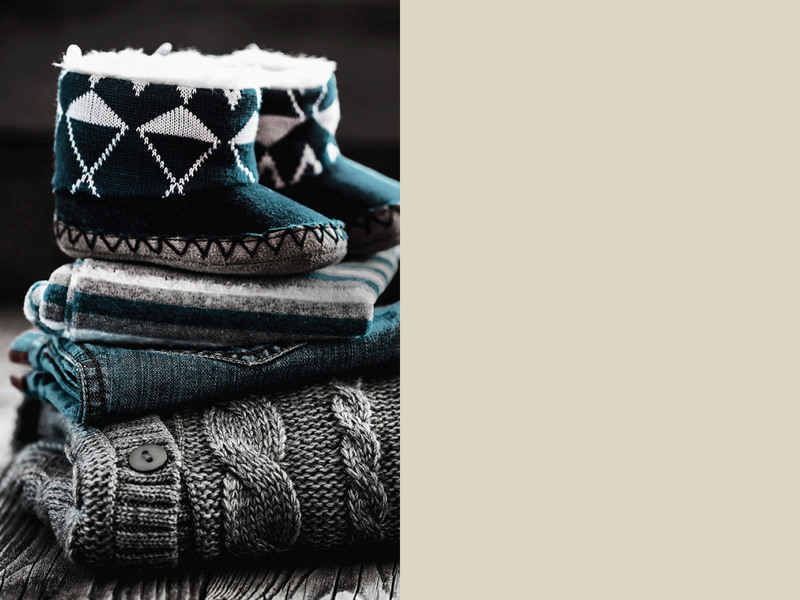 Upon receiving the clothing, consignors cannot get back the items under any circumstances. 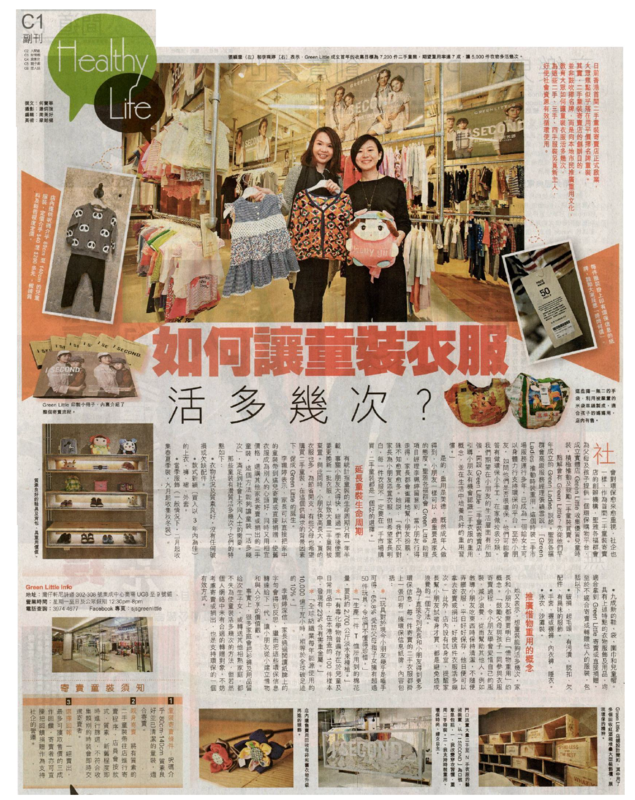 Green Little provides a platform for recycling fashion, but does not assess or promise the genuineness of the items sold. St. James’ Settlement, Green Little and our staff will not take any legal responsibility for the accuracy of the information, the applicability, quality and reliability of the items. If consignors use this platform, consignors agree not to claim any financial loss or litigation on personal harm. 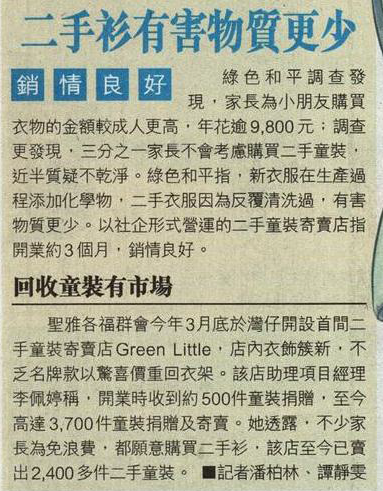 Green Little is not liable for any loss of item during consignment period due to robbery and damage (including artificial and natural disaster) etc. Green Little is not responsible for the loss of non-consigned items (including personal items like money, personal identity card, jewelry etc.) left in the consigned items. Consignors should check carefully before consignment to avoid any loss. To facilitate the public in supporting reuse, we welcome property management companies, residential estates and educational institutes for corporation. We organize collection day with different parties and counters will be set up in relative occasions. 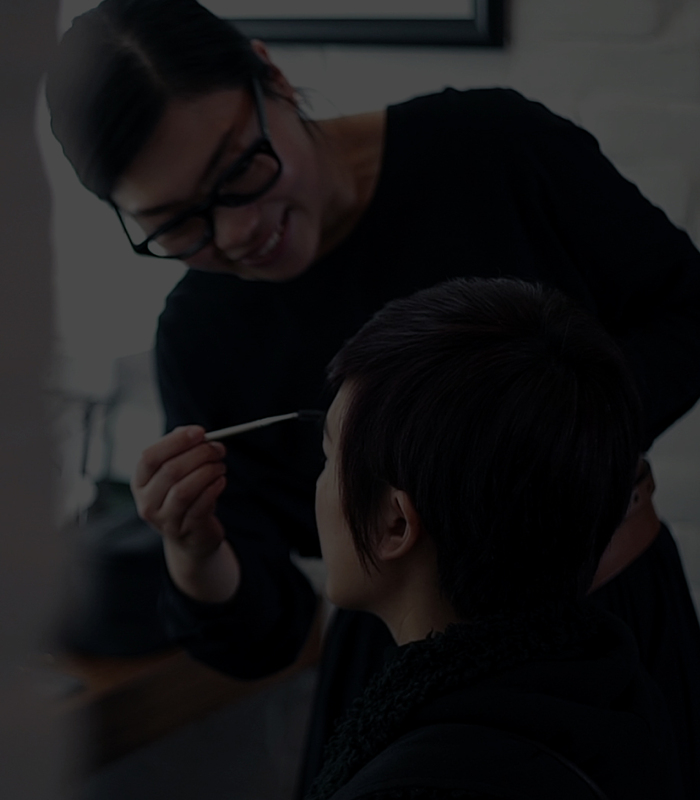 Fashion is collected on site or consignment service is arranged for participants. Secondhand accessories items and upcycling products are also available for sale. 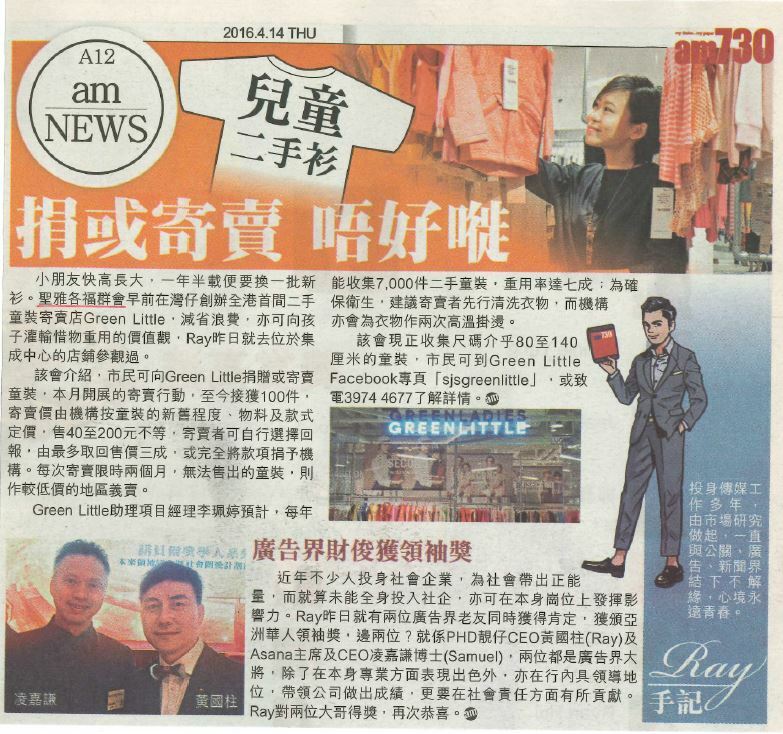 Green information will be provided to encourage public to get into a habit of fashion reuse. Please contact us for further enquiry and collaboration. Remind your kids: Be responsible for the waste you produced, reuse or recycle it! Green Little expresses sincere gratitude to the following corporate partners, companies and organizations for the support in promoting reuse culture. For details of the consignment procedure, please refer to this link. 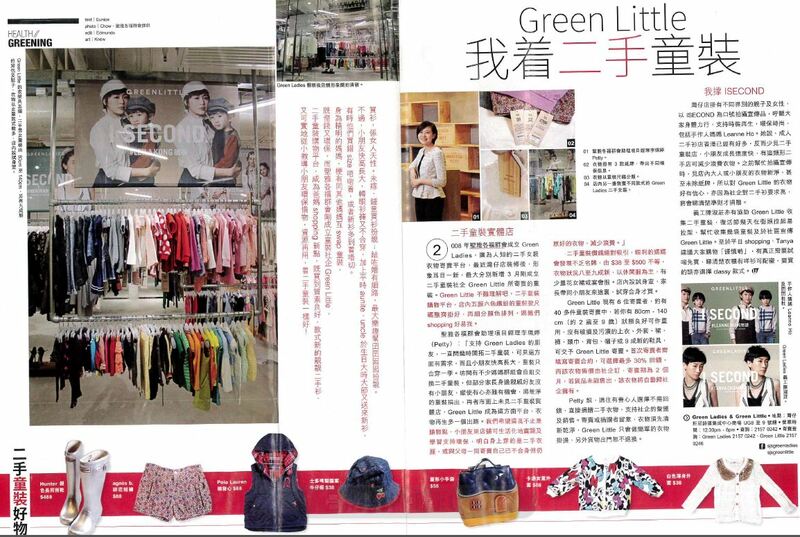 Green Little is responsible for price setting according to the purchasing power of the market and customers towards secondhand fashion; the style, quality and condition will also be taken into account. For items sold successfully, sales report will be provided to consignor on or before the 15th of the following month. Details of the transaction such as the selling price, number of items sold and the rebate amount etc. will be available for reference. Starting from the date of consignment (the date shown on the receipt), the consigned items will be randomly displayed for a 2-month consignment period. The unsold items after 2 months will be donated to us automatically. In that case, consignors cannot get it back. Green Little reserves the right to donate unsold items to other service units or discount the items after consignment period. Under these circumstances, consignors cannot get back any rebate. 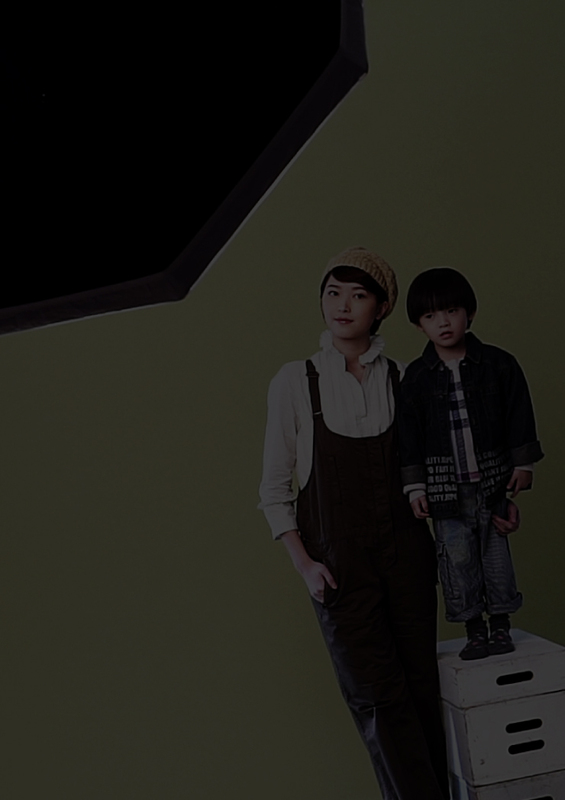 Does Green Little collect menswear and kids wear? What else do you collect? 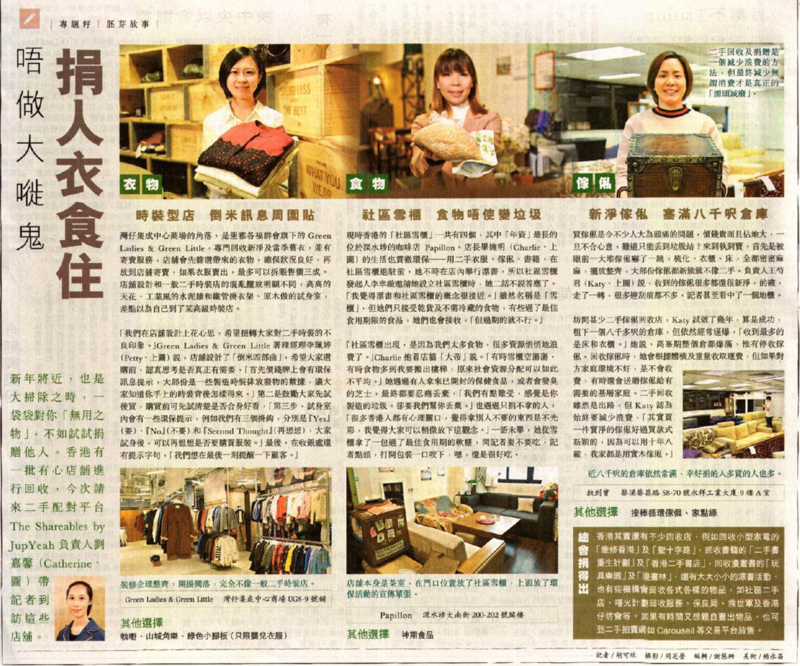 St. James’ Settlement is devoted to promoting reuse culture in Hong Kong. 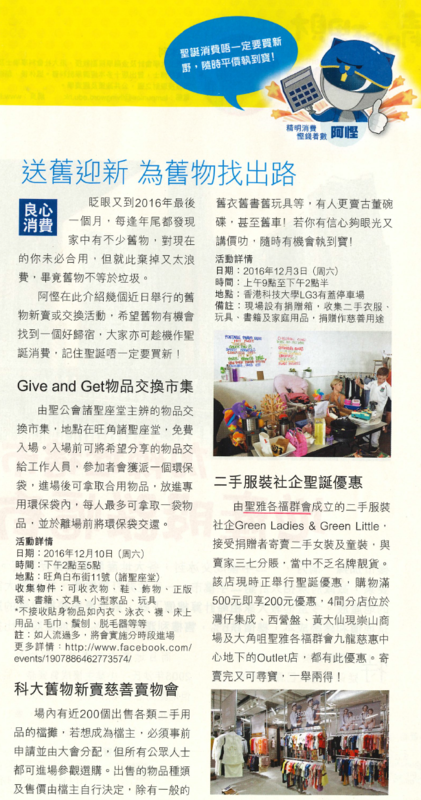 We had another social enterprise – Green Ladies which collect ladies fashion. For details, please refer to the website of Green Ladies. 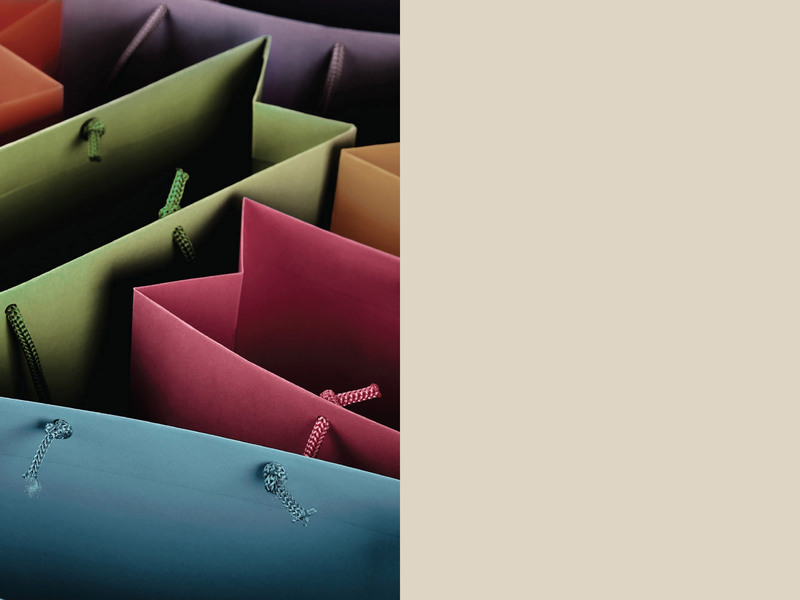 As Green Little does not print any shopping bags for our brand, we welcome customers to donate shopping bags to our shops. 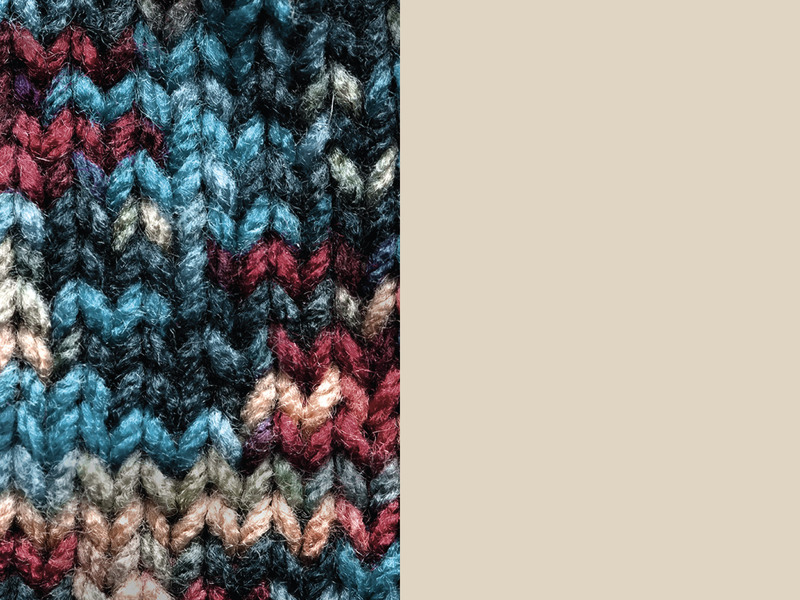 Fashion items have certain weight and there is no Green Little branch nearby. Is it a must for me to take all the items to the shop for screening? 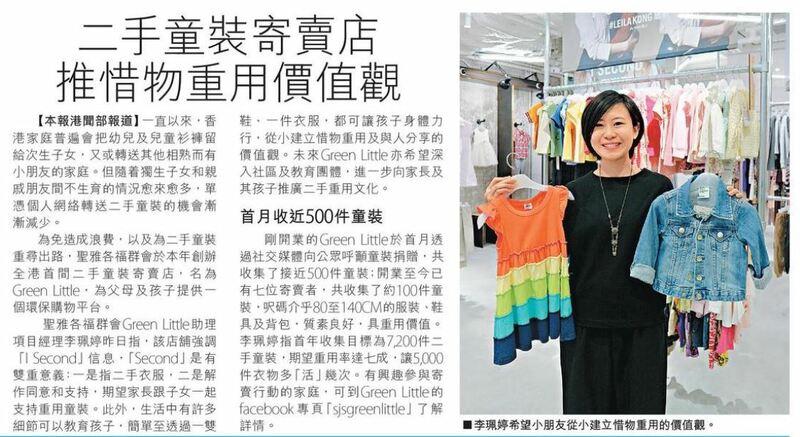 If you are a representative of a company or corporation, please email the number of fashion items, styles and photos to greenlittle@sjs.org.hk. Our staff will follow up with you shortly. Can I bring the kids wear to the other branches of Green Ladies? 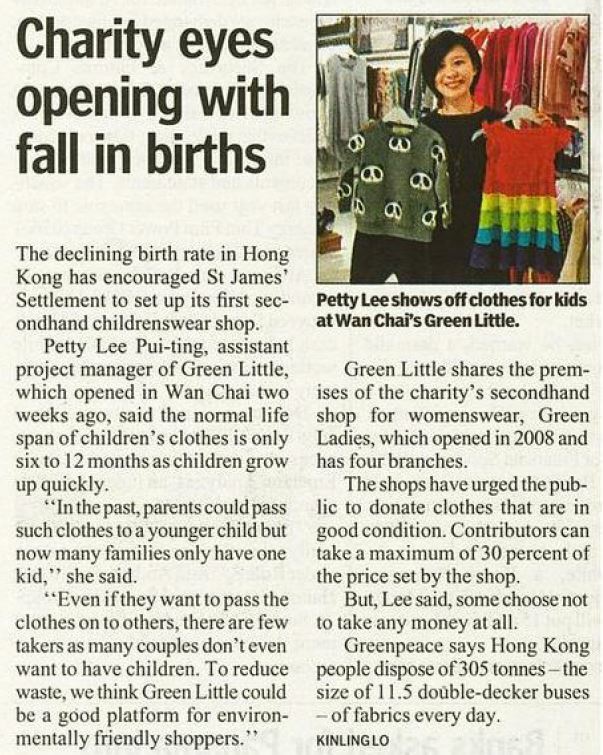 Due to the limitation of manpower and logistics, only Wanchai C C Wu branch will collect kids wear, thank you for your understanding. Is there any hygiene concern for the second hand clothes? 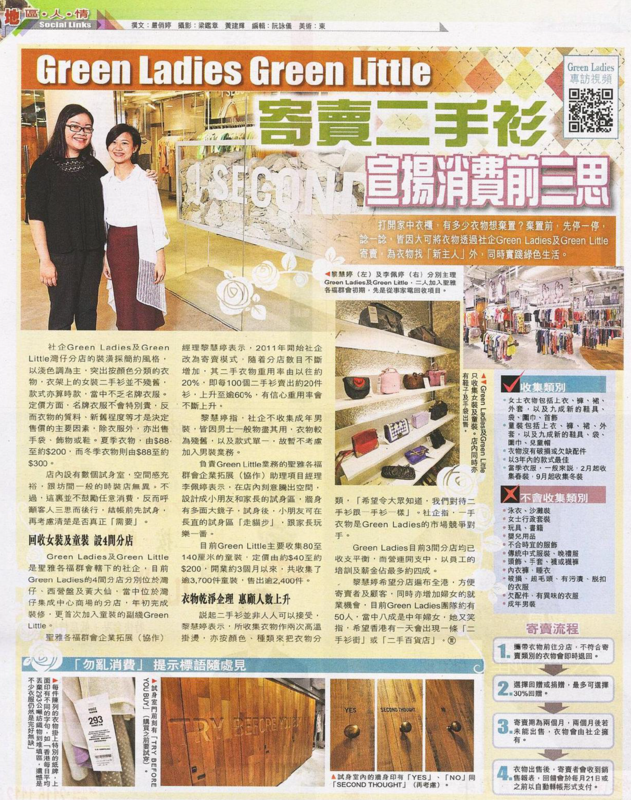 We will advise consignors to clean their fashion beforehand; all fashion will be sterilized twice with steamer iron before display at shop; and we strongly advise customers to clear the fashion thoroughly after purchased.